The Kitsap County Prosecutor’s Office, asked to review alleged threats made by a Pierce County Sheriff’s detective to a Pierce County deputy prosecutor, has declined to file charges, according to an article in the Tacoma News Tribune. The circumstances of the threat are rather bizarre. Check out the story when you get a chance. Given the high cost of copper these days, it’s not surprising that if thieves are willing to go into an electricity substation, they’ll definitely take some from empty or vacant homes. “I saw on your blog that you were seeking stories of people that had been victims of this crime. We are in the process of buying a home in the South Colby area that is currently unoccupied. Yesterday, we went to the home and our daughter found the door unlocked. Upon closer inspection we saw that the door had been pried open. After locating the owner of the home, we went in and didn’t see anything damaged or missing. As we were leaving the house, the current owner discovered the exposed copper pipe in the garage and been cut on one end (inside the drywall) and broken off at the other. The pipe taken was about 15 feet long. The home does have a lot of copper piping, luckily most of it was not exposed as it is under the house in a small crawl space. Anyone else have stories to share? Remember, if you believe you’re seeing this kind of theft or have been a victim of it, report it to your local police department. When we created a database of unsolved homicides covering the last half-century, we knew of the chance that we might miss a case. Looks like we’ve found one. 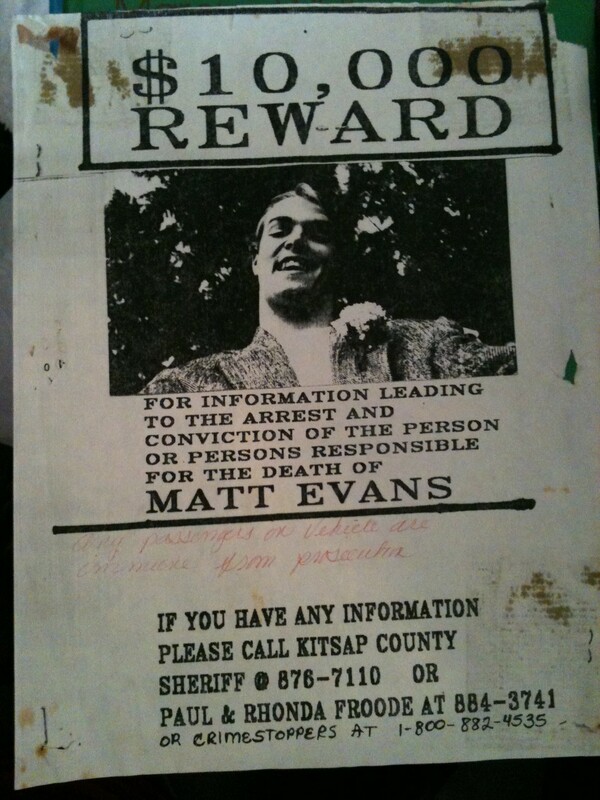 His name is Matthew Evans. He was just 20 years old when his body was found on a Saturday morning in August 1993 along Old Clifton Road. Whether his death was an accident or homicide was subject to some controversy at the time. Apparently Evans had been chased from a party and may have been struck by a car on accident. But I called Kitsap County Coroner Greg Sandstrom, who told me his death is indeed classified as a homicide, and a local pathologist at the time reported it appeared his wound actually came from a being hit with a metal object. Evans will be added to our unsolved homicide database, bringing the number of unsolved deaths in the past 51 years to 31. And why did we create an unsolved homicide database? In short, for posterity. Last year, we poured over death investigation lists from the Kitsap County Coroner’s Office, the state and our local law enforcement agencies. When new cases came along or if one was uncovered, we decided we’d continually add and edit it. After we wrote a story about the tragic May death — and still unsolved murder — of 19-year-old Sara Burke more than three months ago, we added Burke to our database. Thanks to a reader, we’ll post another. 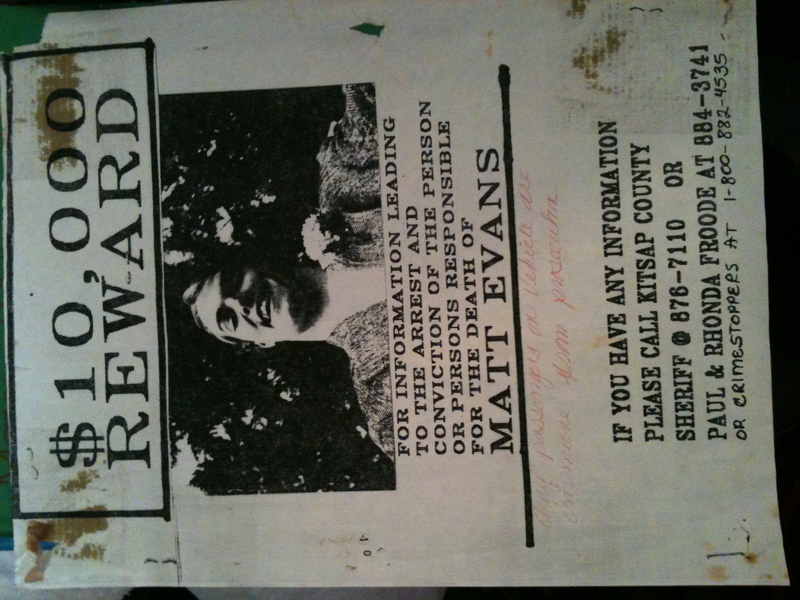 “Could the death of Matt Evans be added to your cold case list? Matt’s death in 1993 was suspicious and I do not believe was ever solved (not sure if it was ever officially considered a homicide),” a reader wrote to me in an email. After some digging, it was pretty clear the case should be added. It is with hope that one day, we’ll not only add or edit the list — but subtract from it too. A spate of metal thefts from local utility districts — and really anyone else with a stockpile of copper — is once again plaguing the Kitsap Peninsula. 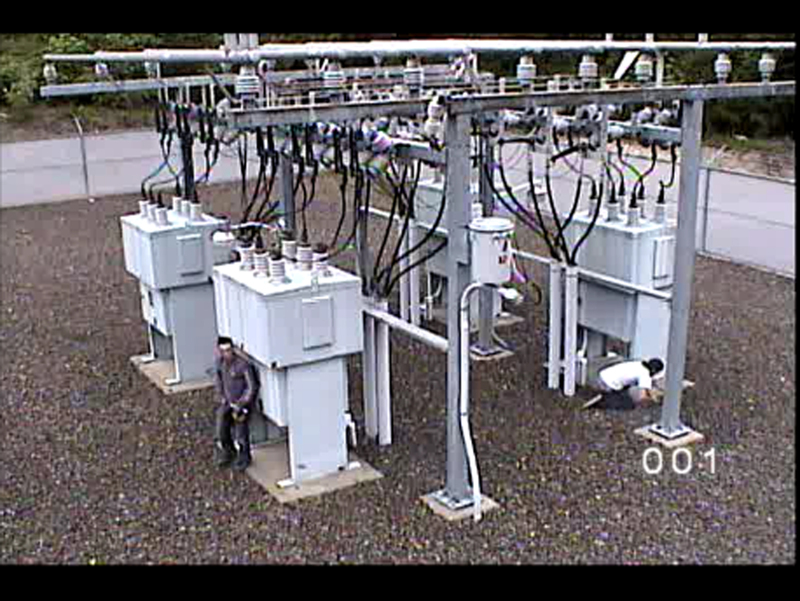 Crooks are hitting the same Puget Sound Energy substations multiple times in some instances. 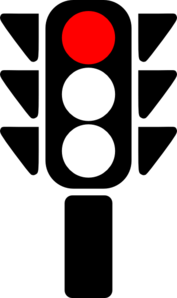 The trend doesn’t seem to be unique to Kitsap, however, as many communities around North America are grappling with it. I’ll have a story in an upcoming edition of the Kitsap Sun detailing this recurring and damaging trend. In the meantime, check out a photo of this thief inside Mason County PUD No. 3’s Collins Lake substation. UPDATE: Here’s the story I ended up writing. If you’ve had an experienced getting ripped off of metal, I’d like to hear from you. Drop a note to jfarley@kitsapsun.com.